If you’re interested in diamonds, you probably know that these incredible stones are made up of compressed carbon, and you probably know that they’re April’s birthstone. You might also know that diamonds are the hardest of all substances, and that only a diamond is hard enough to cut or scratch another diamond. You might also know some cool facts about the Hope diamond – for example, you’re probably well aware of its unique history and its “curse.” Ready to learn more? Here are another 10 facts about diamonds. Bright, sparkling diamonds – incredible stones with the ability to disperse light in the most incredible way imaginable – form in complete darkness, deep underground. 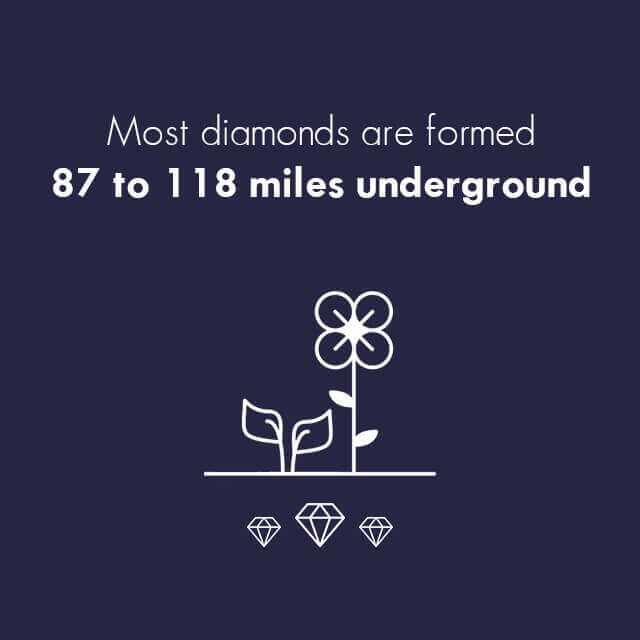 Almost all natural diamonds are formed at depths between 140 and 190 kilometers (that’s 87 to 118 miles) underground, inside the planet’s lithospheric mantle layer. When magma from deep volcanic eruptions makes its way toward the Earth’s surface, it sometimes carries diamonds with it. These diamonds are hidden inside igneous rocks that form when the magma cools. The oldest diamonds ever discovered are estimated to be over 4 billion years old, but most are closer to 1 billion to 3.3 billion years old. Other ancient materials are transported up the volcanic pipes that bring diamonds into miners’ reach: fossils, wood, and surface rock often circulate inside these pipes during periods of eruption. But prospectors don’t look for these items; instead, they watch for indicator minerals such as garnets, olivine, and magnetite. One of the most interesting facts about diamonds is that some may have formed in an interstellar environment. 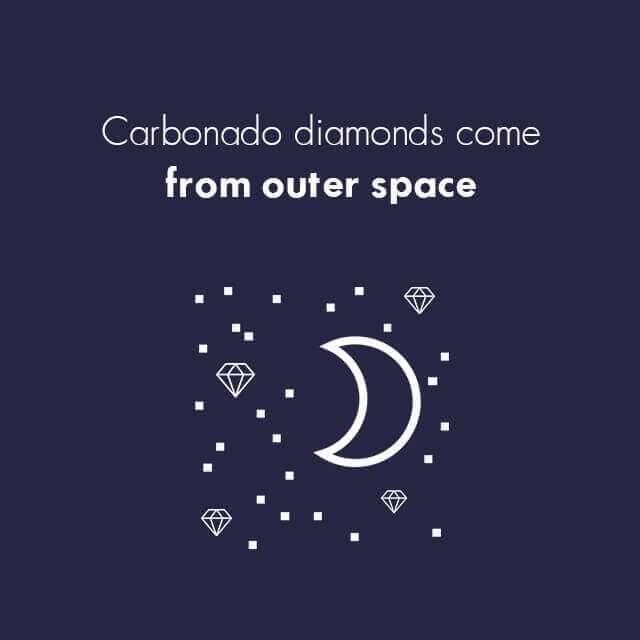 Carbonado diamonds, mostly found in Africa and South America, are believed to have been deposited by an asteroid that impacted the earth approximately 3 billion years ago. You probably won’t find a carbonado diamond mounted in an engagement ring: these stones are unique; however, they contain high levels of graphite and are quite porous. Some carbonado diamonds are suitable for cutting and polishing into black diamond jewelry, which makes an interesting addition to any collection. READ ALSO: How to Estimate a Diamond’s Value? Many metropolitan cities are home to diamond markets. 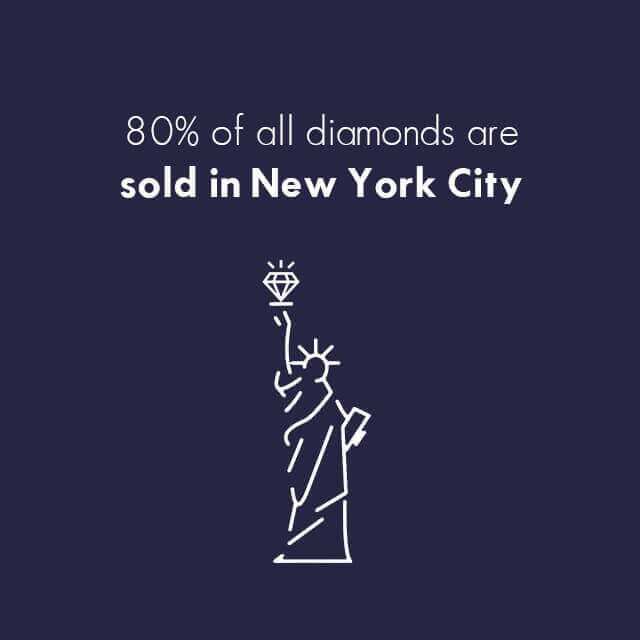 For example, most rough diamonds make their way to Antwerp, Belgium, aptly nicknamed the “diamond capital of the world.” Once the entire production process has been completed, approximately 80% of the world’s diamonds make their way to NYC. There, they are sold (and resold) at a variety of venues including auctions. While cutting is a complex procedure, diamonds are brittle and when positioned just right, can be split with a single, well-placed blow. Don’t worry about breaking the diamonds in your jewelry, though: It takes special knowledge and analysis of the stone’s internal crystal structure to split a diamond into smaller sections. 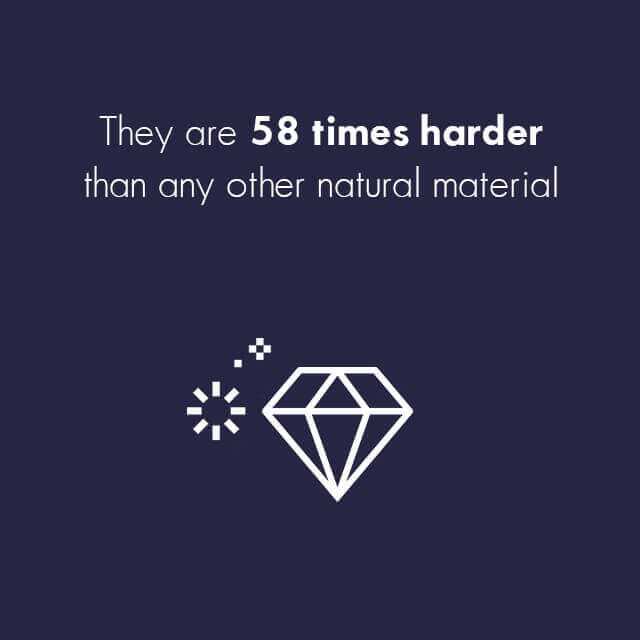 Keep another one of those important facts about diamonds in mind if you’re ever concerned about bumping your favorite jewelry: Diamonds aren’t just the hardest of all substances – they’re actually 58 times harder than any other natural material. Diamonds aren’t just essential for use in jewelry: They’re also used in a variety of industrial and medical tools. For example, some surgical scalpels have diamond blades. 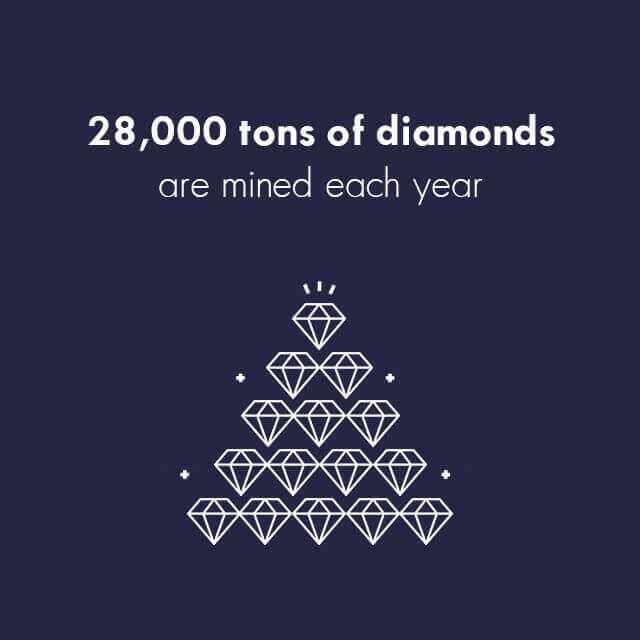 Thanks to their popularity, diamonds are mined in massive quantities each year, with an average of 130 million carats (about 28,000 tons) being brought to the surface annually. Another 110,000 tons of synthetic diamonds are produced in laboratory environments each year. If you ever find yourself in Arkansas, consider heading for Murfreesboro. The town is home to Crater of Diamonds State Park, where it’s possible to search for your own diamond. Nicknamed “The World’s Only Keep What You Find Diamond Site,” it is also the eighth largest known diamond-bearing volcanic crater on the planet, and an excellent source of white, brown, and yellow diamonds, the site is also home to amethysts, garnets, and other important stones, making for a very exciting adventure – even if you don’t dig up a diamond. In case you’re curious, quite a few large diamonds have been found here. 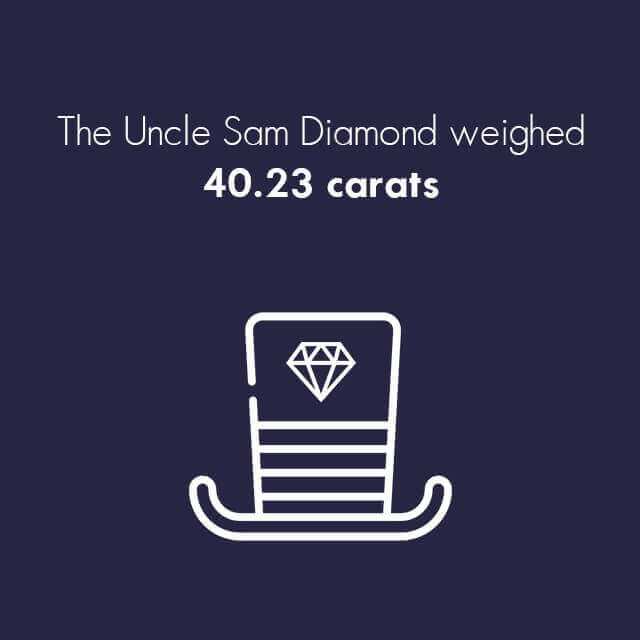 The most impressive – and the largest diamond ever discovered in the United States – was the Uncle Sam Diamond, a white diamond weighing 40.23 carats. It was found in 1924. 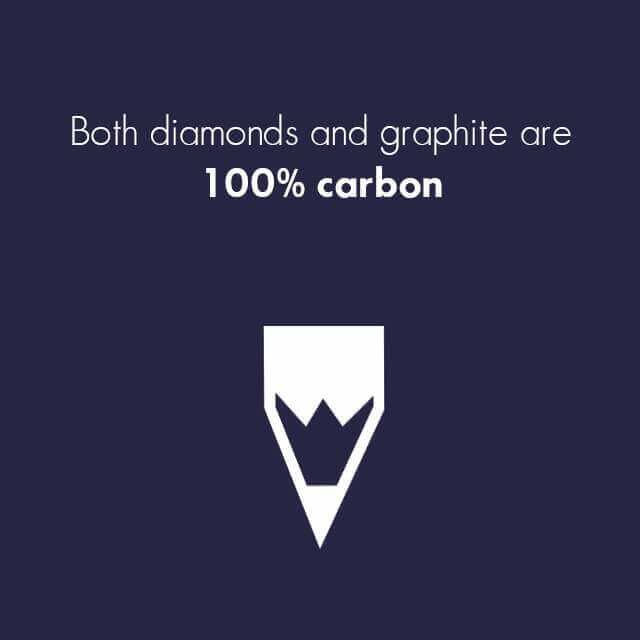 Believe it or not, graphite (often nicknamed “lead”) used in pencils is made of 100 percent carbon, just like diamonds. The crystals are arranged in a different way though, making graphite opaque and soft enough to crush with moderate pressure. What does this mean? 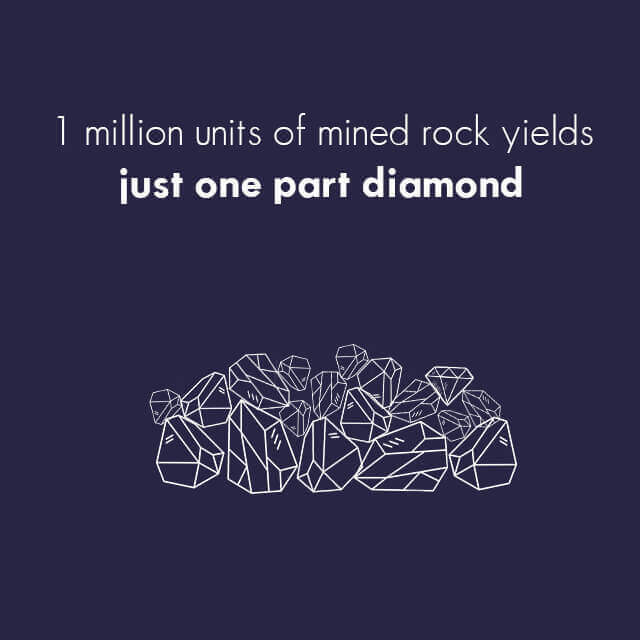 On average, 1 million units of mined rock yields just one part diamond. So for every one million pounds of diamond-bearing host rock (that’s a whopping 500,000 tons), miners expect to find just one pound of diamonds. 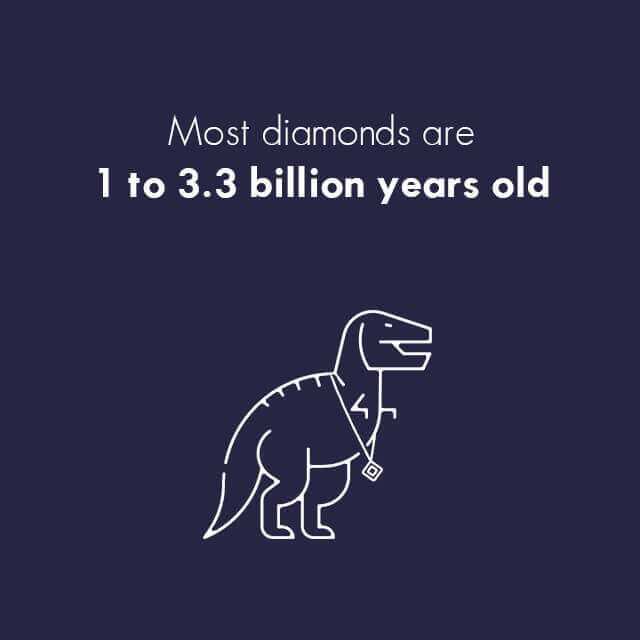 When it comes to fun facts about diamonds, this is one worth celebrating. 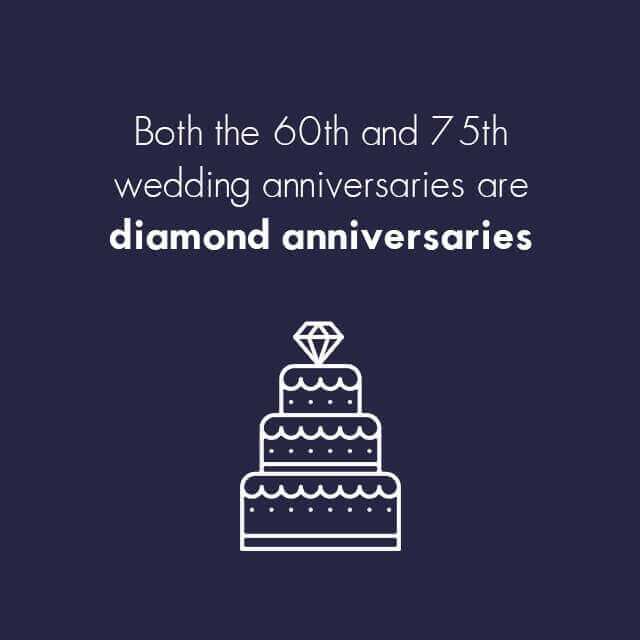 You’ve probably heard the term “diamond anniversary.” As it turns out, there are actually two of these: the 60th and 75 wedding anniversaries are considered diamond anniversaries. Many people celebrate other milestones with diamonds though: diamond anniversary bands and other jewelry make fantastic gifts any time!